Dr Duygu Yengin is an associate professor and Deputy Head of School in the School of Economics at the University of Adelaide, having received her Bachelor of Economics (Hons) from the London School of Economics and PhD in economics from the University of Rochester, USA. Her research interests and contributions lie in the areas of axiomatic fair allocation and mechanism design, cooperative game theory, and social choice. Dr Yengin's research has been published in a variety of academic journals including Games and Economic Behavior and Journal of Mathematical Economics. Dr Yengin is a founding national and SA committee member of the Women in Economics Network Australia and is actively involved in several diversity and inclusion initiatives such as launching the Women in Economics: Career Development Program for Students at the University of Adelaide. 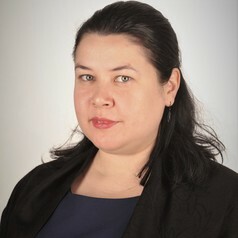 She is a member of the SA executive committee for the Economic Society of Australia.